Fehu is a rune of abundance, success and happiness. It is a sign of coming hope and plenty. Balder, Asa-God of light, love, beauty, rebirth, innocence, and loyalty is associated with this rune. 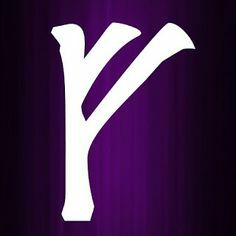 Vana-Goddess Freyja, Queen of the Valkyries, twin sister to Freyr, and warrior goddess of magick (Note: rune casting is in her realm), wisdom, physical well-being, and eroticism is also associated with this rune. Gefion, a Vana-Goddess of virtue, fertility, and un-married women also claims association with Fehu. Last, but not least, Njord, Vana-God of abundance, rivers, oceans, and material well-being, also father of the twins Freyja and Freyr, is associated with this rune, as well. Fehu's colors include green and brown.